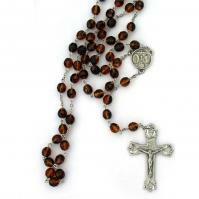 This is a full five decade Catholic Rosary for men . Made with unique tortoise beads that are brown and black. 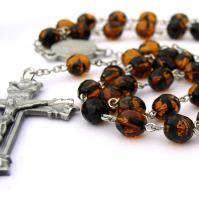 Lovingly linked and assembled by hand, and makes perfect Catholic Gifts. 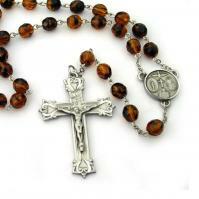 Pewter crucifix and center. Total length is approximately 23-3/4"